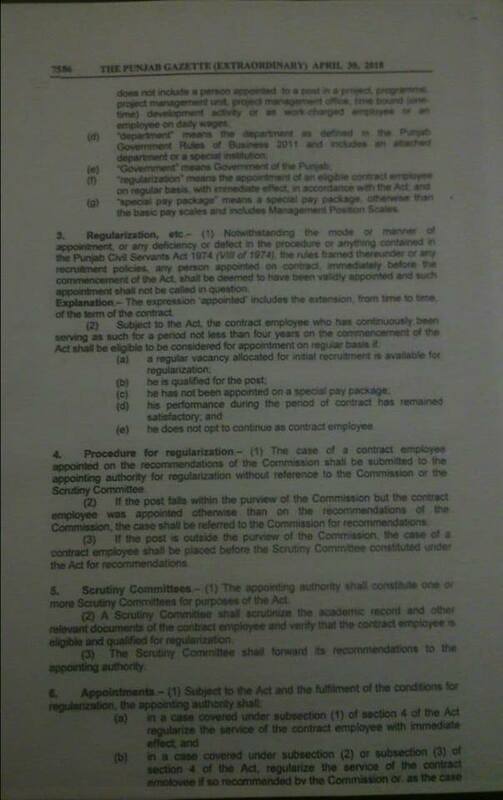 Regularization, etc- (1) Notwithstanding the mode or manner of appointment or any deficiency or defect in the procedure or anything contained in the Punjab Civil Servants Act 1974 (VIII of 1974), the rules framed thereunder or any recruitment policies any person appointment on contract, immediately before the commencement of the Act, shall be deemed to have been validly appointment arid such appointment shall not be called in question. Explanation:- The expression “appointed” Includes the extension, from time to time of the term of the contact. 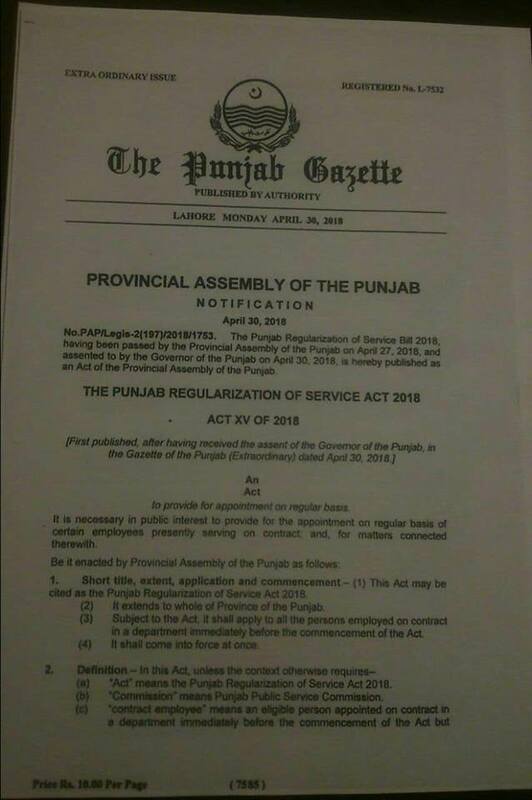 Further details are available at the copy of the Notification of the Punjab Regularization of Service Act 2018. Special thanks to Mr. Naeem Raza for sending the copy of the Notification. 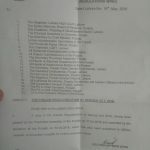 17-A کے تحت تو ریگولر کے آرڈر ہوتے ہیں تو پھر آپ کو کنٹریکٹ پر کیوں کیا. Should be regular but on contract basis seen. 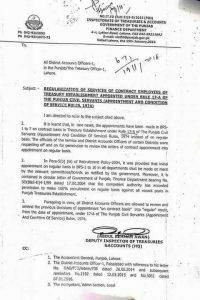 under Rule 17-A emp will be regular not on contract. 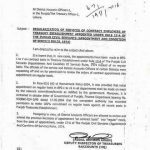 It should be regular but some departments on contract basis. 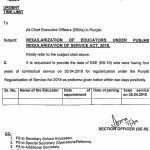 Sir kaya jo employees 30.04.2018 tak 4 years service complete kar chukay hain wohi regular hn ge ya is kay baad b jo 4 years service complete karta jaye ga wo regular hota jaye ga please guide me. meri 31.12.2018 to 4 saal service complete ho gi kaya main b regular ho sakon ga.??? 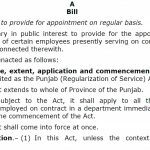 in this act, there is no provision for the contract employees working in Autonomous Bodies. 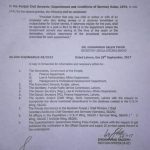 so what is the way for Regularization of the said employees. Chances are with immediate effect. 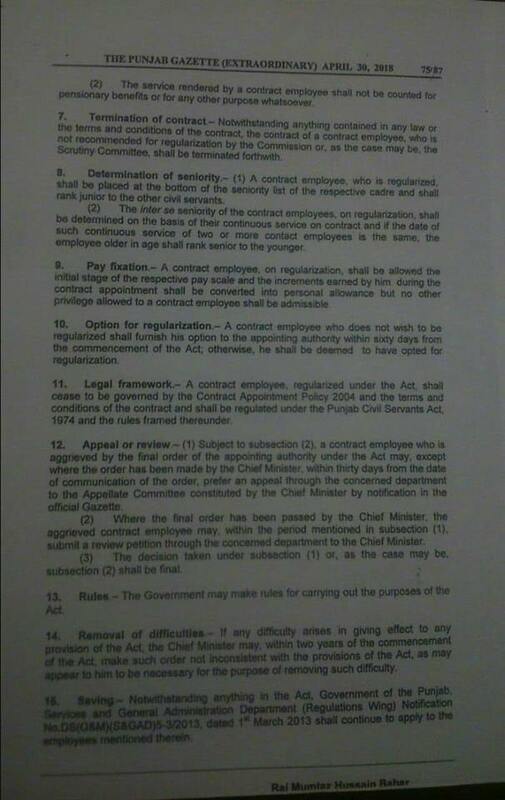 Kia jo Employees contract main working main thay wo sab k sab regular hway hain ya koi restriction hai period ki? 1 2 ya 3 years ki? 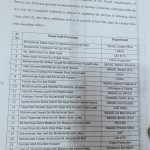 Sir kya 4 year contract service lazmi hy.mera 3 year contract hy wildlife department mein18.6.2015 sy .mery appointment 17.A ky tehet hoi hy.kya mein permanent ky lye apply kr skta hon ya contract renew hoga.